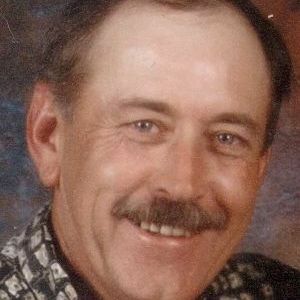 Beechmont- Mitchell Smith, 54, of Beechmont died Tuesday, August 2, 2011 at 6:01 PM at his residence in Beechmont. Born August 9, 1956 in Muhlenberg County. Mitchell worked in Tires & Tube Express at Walmart and attended Beech Creek Pentecostal Misson Church. He is preceded in death by his father, Ellis M. Smith; and a sister, Brenda Smith. He is survived by his wife, Kathy Mohon Smith of Beechmont; mother, Ruby Smith of Belton; mother in law, Sue Mohon of Beechmont; son, Coty (Sharis) Smith of Beechmont; raised nephew, Shane Wells; daughter, Suzanne (Jason) Vaeth; grandchildren, Cassidie & Brooklyn Vaeth, Averie Smith, Harley & Lilly Wells; brothers, Nathan Smith, Donald (Cindy) Smith; sisters, Rhonda Smith, Patricia (Jeff) Hetsley; many many special nieces, nephew, aunts, and uncles; sisters in law, Jean (Doug) Warford of Illionois, Hettie Masden of Greenville, Jackie Mohon of Beechmont, Edwina (Eddie) Silvey of Florida. Funeral Services will be held Saturday, August 6, 2011 at 1:00 PM at Tucker Beechmont Funeral Home with Rev. Steve McElvain officiating the services and Rev. Bobby Allen assisting. Burial will follow in Rose Hill Cemetery in Central City. Visitation will be held Friday, August 5, 2011 after 5:00 PM at Tucker Beechmont Funeral Home. The beautiful and interactive Eternal Tribute tells Mitchell's life story the way it deserves to be told in words, pictures and video. I just found this and felt I had to write something. My son got married on the day of Mitchell's funeral. The night of his wake, I was cooking for 91 guests at GRC for the wedding rehearsal. I was sooo tore up and had a rough time smiling, greeting guests, etc. all day long because I knew one of my best friends in the world needed me. I knew in my heart that Mitchell would have stomped his foot and said "Tammy! You be there for your boy!" On July 4th, 2011, as usual, we were at Kathy's and Mitchell's enjoying fireworks. That night as I was leaving, he came up to me and gave me a big bear hug and kissed me dead on the lips, hugged me again and said "I love ya'll". I never told Kathy this, but I knew in my heart he was telling me goodbye. I wiped tears all the way home. Mitchell was a fun loving guy, pretty much a stinker, but was blessed with 3 precious kids, 5 precious grandbabies and a God fearing wife that did her best to keep him in line and stood by his side through thick and thin. This family has and always will have a big piece of my heart. Love and miss you Mitchell Smith! Ruby: Dear one, I am so sorry for your loss. I will keep you in my prayers. May God draw you near to Him, as I know you realize He is the only one that can provide you with the comfort, strength, and peace you need to get through this time. Praying Gods blessings and comfort in this difficult time. With deepest sympathy for your loss. May you find comfort in the love that surrounds you and in the caring words of friends. Know that we are thinking about you in this time of sorrow. The world was your play ground. You were a friend to any one who needed one. You lived each day full of happiness and joy. I am so glad to call you my friend. Kathy and family your loss is great in your life. I am praying for you as I know this journey. Mitchell has touched the lives of so many. Hold his memories close and God's love will carry you .